I am constantly getting asked what my favorite online shop is, especially moving into the holiday season. I have to admit, I am not a huge shopper and never really loved trying a ton of things on at a store. That’s why I mostly do all my shopping - even my groceries - online. It’s just so much more convenient to shop in the comfort of my own home… it doesn’t hurt that you always get the best deals online too. So when I really started to think about what I use the most, like so many of you guys, Amazon was the first thing that popped into my head. With everything from home-goods to groceries, I use Amazon daily. When I discovered Amazon Fashion, I was hooked. There’s so many cool brands that sell through Amazon Fashion with a lot of them having one or two day delivery and super easy returns. 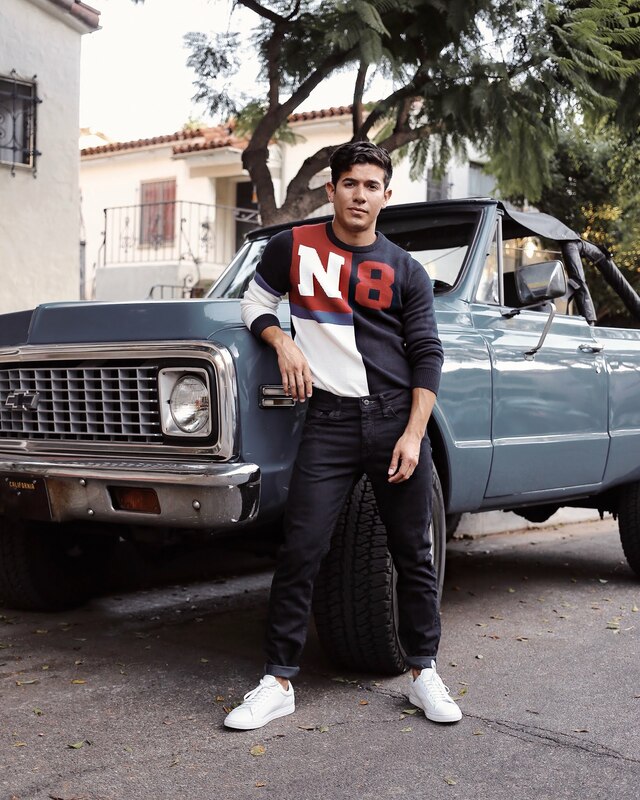 That’s why I am super excited to be partnering with Amazon Fashion and Nautica over the next few weeks to show you guys some of the great products they have to offer but even more excited to join their Amazon Influencer Program where I’ll be launching my own shop for you guys to find all my favorites in one spot. Nautica has always been in my daily style rotation no matter the season. I’ve been into more graphic print knits lately so this Nautica Signature Print Sweater was my first great find on Amazon Fashion that quickly got me hooked to the site. One of my favorite tools on the site is the suggested items below any item you’re looking at. It really helps to find other similar items like these Nautica 5 Pocket Slim Fit jeans that I styled into today's look. It’s like having your own personal shopper which really helps find items that go well with each other. This is just the first of many to come featuring some of my favorites from Nautica. I’ve been loving so many things from the brand. From graphic knits to denim and even some killer collabs, I’ll be showing you guys how I like to style the global lifestyle brand over the next few weeks. Make sure you keep checking back into my store. I’ll be constantly updating it with new items I love. Especially when I find really great deals!